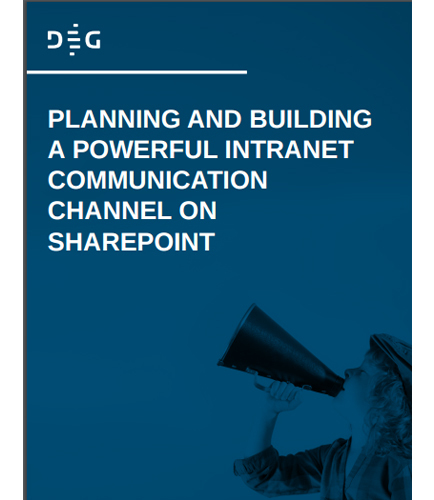 "Building a Powerful Intranet Communication Channel on Sharepoint"
Intranet communication channel is the next-generation user- driven portal to more effectively and efficiently communicate with its advisors, and help them find the information they need in a highly-regulated industry. Intranets can serve as powerful tools for communication, enhancing teamwork by sharing information across organizations. What are the benefits of implementing intranet communication channel? Intranets allow organizations to distribute information to employees on an as-needed basis. Intranets can help users to locate and view information faster and use applications relevant to their roles and responsibilities. Internal intranet communication channels increase employees’ ability to perform their jobs faster, more accurately by accessing information from anywhere. What are the platform challenges faced during implementation of intranet channels? Download this whitepaper to learn more about intranet communication portal that focuses on proper management of the content and creating a more engaged and informed workforce.